The detention was based on an Interpol warrant. 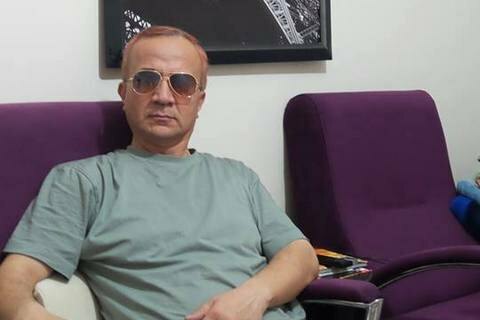 On 20 September, the State Border Service of Ukraine detained an Uzbek resident, born 1966, who arrived at Kyiv's Zhulyany airport from Ankara. The border service said on its website that the detention was based on an Interpol warrant. According to the database, the man has been wanted since 2014 on suspicion of fraud. He was handed over to police. The Ukrainian Helsinki Group said on 21 August that the man in question is Uzbek journalist Narzullo Akhundzhonov. Formally, he is wanted in the 2009 case of fraud worth 2,000 dollars. "But the true reason is his activity as professional journalist. Akhunjonov wrote articles about government crimes in his homeland," it said. Akhunjonov filled an application for a refugee status in Ukraine. He is in a remand centre, waiting for court to decide on a form of pre-trial custody for him. "We know that the question of his extradition to Uzbekistan is being decided now," the human rights group said. Detector.Media quoted his lawyer as saying that Akhunjonov was in charge of the department for political and education shows at the National TV of Uzbekistan. In 2013, he was dismissed and left the country for Turkey where he lived and worked as a journalist for four years. He said that back home he was persecuted for journalism and recently it became dangerous to live in Turkey. He came to Ukraine together with his family. They are staying with an acquaintance who is an Uzbek refugee.